Dish Network wants to release an live television streaming product, however, argues that it cannot convince television broadcast networks that it makes financial sense–and CEO of Dish, Joseph Clayton is extremely upset about this. “We have the technology — we’re intimately involved in it — but the long pole on the tent on this is the programmers,” Clayton stated in an interview on Thursday. 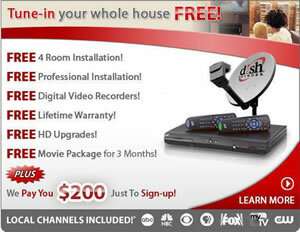 Dish Network is the second-largest United States satellite television provider and desperately wants to bring an online streaming that subscribers could watch on a PC, tablet, or even a mobile device. The challenges Dish is facing from the broadcasting companies is that they don’t want to sell Dish the rights to a live content feed for cheap–which Clayton and Company seem to take an issue with. They won’t put something into the market place that can’t reach a so-called “critical mass” and in turn–not be profitable. Rather Clayton argues that for younger demographics they would be more interested in paying less money for less channels that can be accessed via a mobile device, PC or tablet computer. He is also getting an argument from the broadcasting companies, who feel that if Dish Network was to offer a service like this it could cannibalize their main product–a product that the broadcasting companies rely upon to sell advertising. The companies view a move into a live streaming space to be nothing but a negative for them, because if it did take subscribers away from Dish’s satellite service the networks would be looking at lower subscription fees and revenue. This is where the battle is being waged, and it does not look like Dish Network will be offering an online live television streaming service until the company and the networks can come to an agreement. Dish needs to be going to the studios and producers as Netflix is doing. They have to demonstrate to them that they are passing up revenues they can’t get from cable and broadcasting companies. I suspect pressure on former is coming from the latter, and that’s why Netflix inroads are slow to happen, as will be the efforts of Dish, if they take that route, but eventually it will happen. Like the music and print industries, the cable and broadcast industries are old monopolies that are digging in their heels as their revenues fall. The sensible thing for all these industries would be to accept the division in the market. Broadcast, cable and fiber will always have an advantage in high speed, broadband delivery of content to densely populated areas. Satellite and cell services will always be better for mobile devices. Several airlines already offer reduced programming from DISH and DIRECTV as part of their in-flight entertainment packages. I don’t see why the networks are resistant to this.